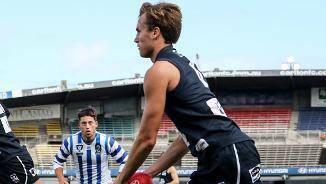 Lochie O'Brien believes the pre-season camp and an extra year of experience will benefit the Blues. 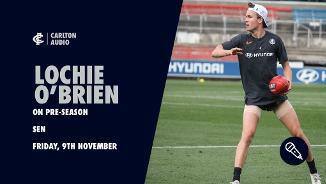 A lot has happened in 12 months for Carlton youngster Lochie O'Brien. Earned with the selection secured in the Bryce Gibbs trade with Adelaide, O’Brien’s reputation as a speedy midfielder with a clinical left-foot kick is matched only by his athletic prowess and exceptional endurance. 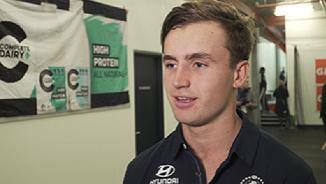 A Vic Country regular through last year’s Under 18 Championships, O’Brien joins his old Bendigo Pioneers teammate and fellow Carlton draftee Paddy Dow in the big smoke. 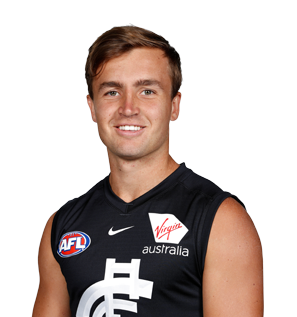 Draft history: 2017 NAB AFL Draft 1st round selection (Carlton) No.10 overall.